Those of us in the military community know what those numbers mean. We have all been touched by the tragedy of military suicide. And we feel so frustrated-what can we do ? How can we do more to stop this epidemic? If only there was some kind of vaccine…. There are groups that are fighting back. And as I always say Knowledge is Power. Arm yourself. Learn more about it. It is not an act of weakness. It is not for cowards. It is an act of desperation. I mentioned on my Facebook page visiting PyschArmor Institute and being impressed with all they are doing to support veterans and building bridges between the community. Here is a fabulous offering from them that anyone-including you Mommas-can take. “Today on 9/22, do your part to reduce the 22 Veterans that take their lives everyday. Visit www.psycharmor.com and enroll today in their free Suicide in the Military Course. 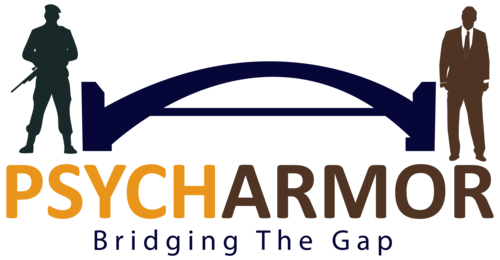 PsychArmor Institute is a national non-profit that provides free education and support to all Americans who work with, live with, or care about our veterans. PSYCHARMOR Institute’s free online Suicide in the Military course is created by Craig Bryan, PsyD, ABPP. Dr. Bryan is a nationally recognized expert in the field of military suicide and currently serves as the Executive Director of the National Center of Veteran Studies at The University of Utah. 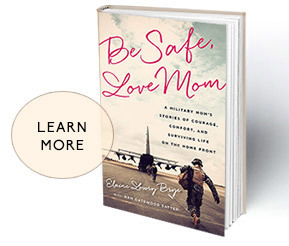 The latest advancements on the understanding of suicide in the military. Interventions and strategies that have been shown to be effective in preventing suicide. Continuing Education Credits available free of charge. Inquire at 844-PsychArmor (844-779-2427) or info@psycharmor.org for more information. 22 Veteran suicides a day is unacceptable. Who better to wage war on veteran suicides than Mommas? We have already fought against drunk drivers. We carried these babies, baby proofed our houses, buckled them in car seats, made our own baby food. We bought helmets and chest protectors and stayed up all night until they got home and grounded them if it was after curfew.Then they joined the military. And for some of us our children have been wounded in mind and spirit. But we are still Mommas. We want to keep protecting them from depression and PTSD and wanting to end it all. Where do we start? Right here….Knowledge is Power. Let’s learn how to fight back. The first step-know the enemy. Let’s learn all we can about suicide and what can be done to prevent it. Mommas-we are a force to be reckoned with. Let’s save some lives. I’m so glad you posted this! Thank you!